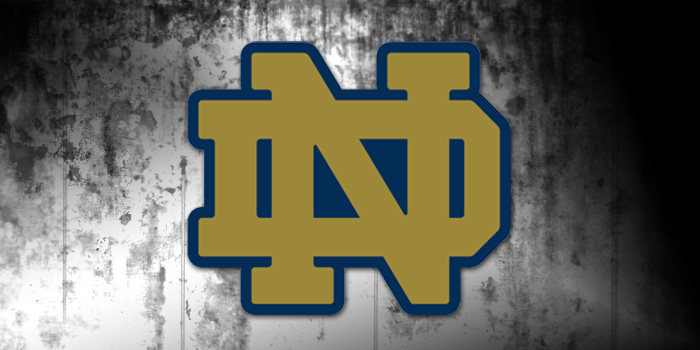 SOUTH BEND – Members of the Notre Dame football program will take on local law enforcement in a charity softball game set for June 11. The game, which will benefit Indiana C.O.P.S. (Concerns of Police Survivors) will take place at 7 p.m. at Four Winds Field, the home of the South Bend Cubs. The local law enforcement team will include those from Notre Dame Security Police, South Bend Police Department, Mishawaka Police Department, St. Joseph County Police Department and the Indiana State Police. Notre Dame student-athletes and coaches, as well as law enforcement personnel, will interact with fans throughout the game, including autograph and photo opportunities. Law enforcement will also have informational booths on site. Admission to the event is $5, while children under the age of 12 are free. Parking at the stadium is also $5. Proceeds will go to support the Indiana C.O.P.S. Indiana C.O.P.S. provides resources to assist in the rebuilding of the lives of surviving families of law enforcement officers killed in the line of duty as determined by Federal criteria. Furthermore, C.O.P.S. provides training to law enforcement agencies on survivor victimization issues and educates the public of the need to support the law enforcement profession and its survivors. To learn more, visit www.indianacops.org. For more information, call the South Bend Cubs ticket office at 574-235-9988 or visit www.SouthBendCubs.com. Ticket office hours are Monday-Friday, 10 a.m. – 5 p.m. ET.